How to Prevent the XAML Design View to Automatically Load in Visual Studio 2012? 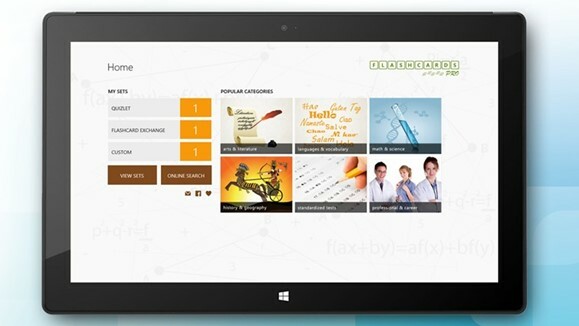 Flashcards Pro is one of the powerful learning app for the Windows Phone and Windows 8 users for all age groups. It is your one stop e-learning solution for various subjects of your interest. Are you preparing for interview or planning to learn a new language? 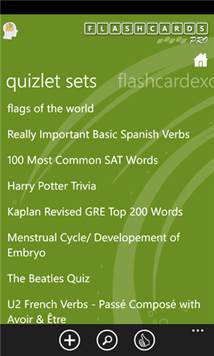 You can use Flashcards Pro :). The App lets the users to search for more information on the subject that you are searching for. The App is published by ANTARA SOFTWARE & CONSULTING PRIVATE LIMITED and is available in both free and paid version. The Windows 8 version of the App uses text-to-speech with 19 languages to have any content read out. One of the other features of the Flashcards Pro on Windows 8 is that it allows the Flashcards to be exported to PDF and MS Word documents for using it offline.